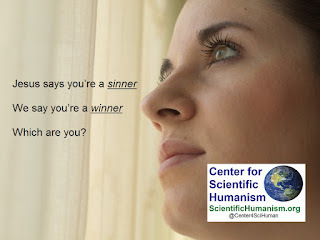 Center for Scientific Humanism: Are you a sinner or a winner? We know which one you are. How about you, do you know? Here's a hint: you're incredible! You deserve a belief system that thinks you're incredible.